Back in April I was contacted and asked if I would like to try a four week skin clearing treatment - and I of course said yes. Although I do not have acne, or extremely 'broken out' skin, I do have combination/oily skin which Skin B4 claims to help reduce the oiliness - fingers crossed. 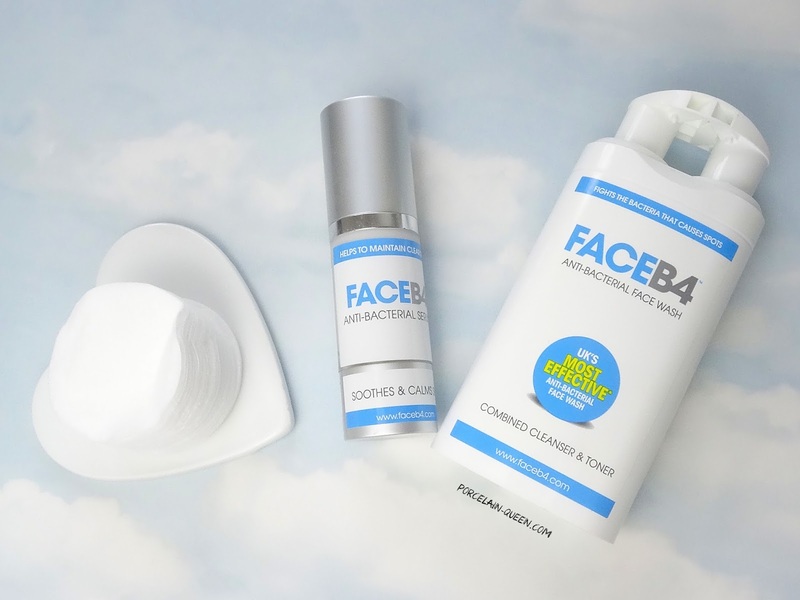 I was sent the Face B4 Anti-bacterial face wash, and the anti-bacterial serum, to use twice daily for four weeks. I will be starting my trial today, May 1st 2015 and ending 29th May 2015, I will write a follow up post sharing my thoughts and results. Have you tried this skin care duo?